Protect your reputation with 24/7 monitoring of your online rating and review profiles. 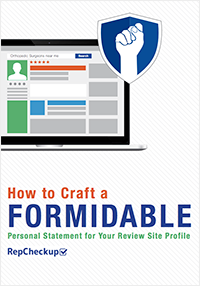 Monitor your online rating and review profiles without having to manually check them on a daily or weekly basis. New ratings and reviews left on your public profiles are automatically displayed in your review inbox which makes responding easy. Continually monitor online ratings and reviews on the following websites: Bing, Facebook, Google, Healthgrades, RateMDs, SuperPages, Vitals, Yahoo, Yelp, and more. Monitor one rating and review profile or all of them! Get automatically alerted when new online ratings and reviews occur. You’ll receive an email every time a patient leaves a rating and review to stay on top of what’s being said online about you. Why is Online Review Monitoring Important? Online review monitoring is an important part of online reputation management and the only way to keep a pulse on what’s being said about your business or practice online. Just like in business or medicine, remember, what you do not know can hurt you. If you’re not monitoring your online review profiles, you run the risk of poor ratings and negative reviews turning people away. Why Do We Offer Online Review Monitoring For Free? We believe that price shouldn’t be why business owners don’t manage their online reputations. We’re here to support businesses, and that’s why we offer free accounts to business owners with one location, which is the perfect starting point to manage your business’s online reputation before adding in additional locations. Why Should I Use Online Review Monitoring Software? Online review monitoring software is a time-saving tool that allows you to dedicate more time to the ongoings of your business outside of your online reputation. 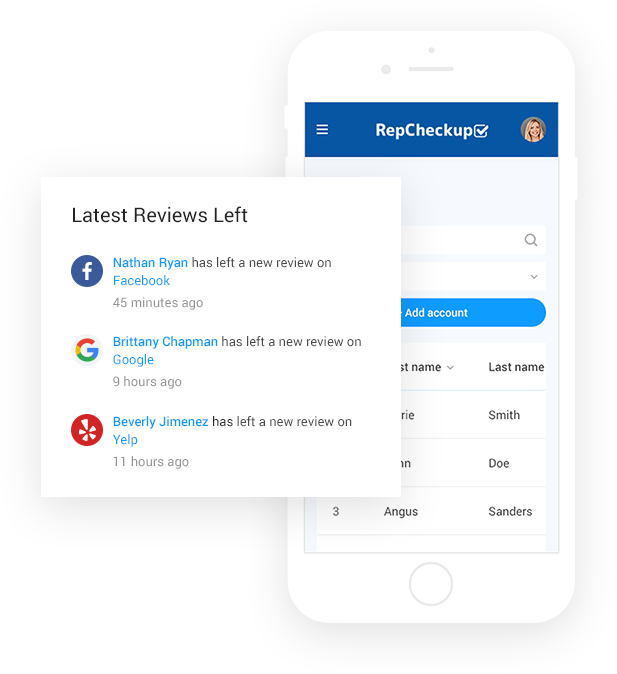 RepCheckup presents everything to you on one sleek dashboard, allows you to respond to reviews directly, and gives you the tech needed to solicit reviews from your customers via text and email.This is a pretty massive contrast to the traditional methods of online review monitoring, which requires you to frequently log in and out of each website your business has a profile on. You’ll then have to find and respond to new reviews, log that data, and move onto the next site. How Does An Online Review Monitoring Tool Help My Business? Anything that saves you time is an asset. Our goal is to save you time and effort by making reputation management and online review monitoring as simple as possible. All you need to do is sign up, take a look at your reputation audit, and start sending out requests and responding to the reviews once they start rolling in.Most importantly, RepCheckup’s online review monitoring tool helps your business by helping you get a step ahead of the competition through having great online reviews available right where potential customers are searching for you. By giving you what you need to manage your online reputation, RepCheckup is able to help so many businesses with our intuitive technology and at a great price. 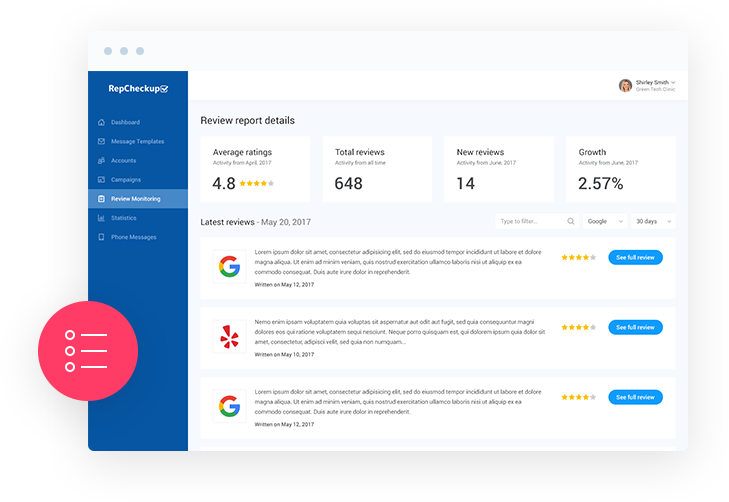 With RepCheckup you can consistently generate new online reviews and keep a pulse on what’s being said about you on over 20 online rating and review sites across the web in less than 5 minutes per day. You can contact us by phone or email. Feel free to send any questions you may have. Find out what an online personal statement in the medical industry should contain to convert potential patients into new appointments.